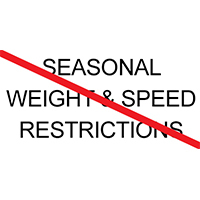 Beginning Wednesday, February 1 at 6 a.m., the following local agencies will TEMPORARILY SUSPEND ENFORCEMENT of Seasonal Weight and Speed Restrictions until further notice: Kent, Barry, Ionia, Montcalm and Ottawa County Road Commissions and the cities of Kentwood and Walker. The temporary suspension of enforcement is based on the current forecast of decreasing temperatures and frost levels. 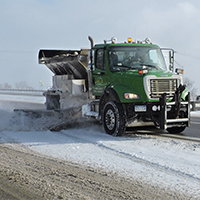 KCRC investigates each complaint regarding a mailbox damaged during snow removal. 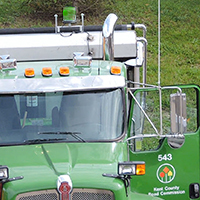 If an inspection shows that the mailbox was hit by a plow or other KCRC equipment, KCRC will replace the mailbox. Public Hearings will be held on Tuesday, November 22 for the proposed 2017 improvements of Lappley Ave from 14 Mile Rd (M-57) to 15 Mile Rd and Kalamazoo Ave. from 84th St to 76th St.
Evening manhole work at Rix St & Bradfield intersections takes place from 10/20 at 9PM - 10/21 at 5AM. 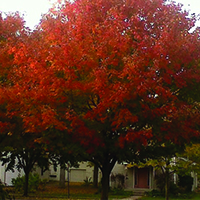 KCRC has created a county-wide “Color Tour” that guides motorists along local roads showcasing picturesque seasonal scenes. This year’s Color Tour encompasses 237 miles and has been divided into eight (8) routes. 40th Street at Patterson will be closed 10/14 - 10/17 (Patterson open); Patterson between Broadmoor Ave and Town Center Dr will be closed 10/17 - 10/20. 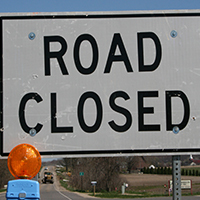 Reeds Lake Boulevard from Hall Street to Reeds Lake Boulevard will be closed Tuesday, October 11 for culvert repair. A detour is posted through October 8 for the permit work to install a sanitary sewer for a private development. Beginning Monday, October 3, West River Drive will be closed between 4 Mile Road and Stowell St NW for permit sewer work. The property was purchased as a potential relocation site for KCRC’s Central Complex, which resides along the Grand River and has been identified as an opportunity site for redevelopment under GR Forward. ​Work on 10 Mile Rd. between M37/Alpine Ave. and POacker Drive between Van Dam Drive/Rogue River Road requires road closures and detours. Kent County Board of Road Commissioners holds its annual Public Hearing on the Proposed 2017 Budget on September 13th. ​West River Drive (Safety Dr. to Northland Dr.) will remain open with lane closures; 108th St & Alaske Avenue intersection closed for project’s duration. The permit work is being conducted by DTE Gas on behalf of North Kent Sewer/Plainfield Township. ​Both Maston Lake Drive Over Clear Creak and the Vergennes at Cumberland Ave. projects include detours. 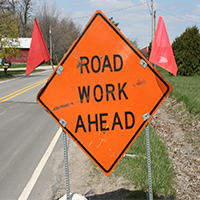 Jericho Avenue between Kroes Street and the Rockford City Limit will be closed to through traffic for the duration of the project, which is scheduled to be completed by September 2. ​The section of Kraft Ave. between 76th and Broadmoor Avenue will be closed to through traffic for the project’s duration.